Just days before the Nexus 5 drops in, there's now word that its popular predecessor the Nexus 4 is getting a long-awaited LTE upgrade. 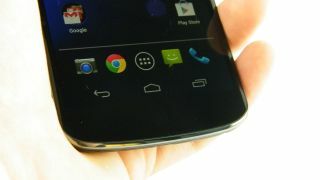 According to Engadget, a filing at Bluetooth SIG suggests that the Nexus 4 is now certified for LTE support. The popular Android device has been in the wild for a year already but its LTE chip has laid latent. The Bluetooth SIG filing suggests it may get the jump many phones already have - so for those anxious for their Nexus 4 to join the speedsters, an upgrade may be around the corner. With LTE enabled on the Nexus 4, the phone will probably stick around in the Google Play Store next to the Nexus 5, unlike the iPhone 5 which got the boot with the iPhone 5S and iPhone 5C releases. An official Nexus 4 LTE announcement is still up in the air, but with the filing listed so recently and the Nexus 5 possibly launching on October 30 or October 31, we can bet they'll arrive on the scene around the same time. To further assure you, the Google smartwatch and Android 4.4 KitKat are also rumored to make an appearance at the end of October. Lot of Google goodies to look forward to, but for now check out the best android tablets while you wait.